My week at work follows a pattern. A pattern for reading, a pattern for math, a pattern for language, a pattern for planning, etc. I work best when I have a pattern–a schedule. I think it gives me more time and effort for creativity within my teaching and planning. Obviously, this blog is no exception to that rule. I’ve already started my Friday Ladies Room Fashion Show posts and today I’m introducing Weight Loss Wednesdays. I’m making Matt do it too. Let me know if you’d like to link up with us, too. I’ve eluded several times to the fact that I’ve lost 40 pounds since June, 2011 and promised to share the story of that. Spoiler Alert: I’m long winded, so this is going to take a couple of posts. January of 2011 I decided to get into shape. I’d put on some weight from what I thought was “ideal” for a working mom and wanted to take it off. I started working out (as we all do in January), but a couple of weeks in I got a really bad sinus infection. Long story short, this was a “traveling infection” that set up shop in my sinuses and neck for about four months. After several rounds of antibiotics, countless boxes of Kleenex, and many, many nights of coming home from school and dying on the couch my doctor put me on a steroid. I gained 10 pounds faster than you can say “Sinus Infection.” Two months later, it hadn’t budged. So it’s June and I’m now a good 20 pounds heavier than I think I should be. None of my shorts fit. My friend comes into town and has lost weight and looks fantastic. I’m riding my bike some, but my weight isn’t budging. I’m pretty miserable at this point. One night I walked into my friend Christy’s house and saw a bag sitting on her counter. “Please let it be Rob’s, please let it be Rob’s.” I silently prayed. I couldn’t let my closest friend & mentor go and get skinny without me! Of course, the bag wasn’t Rob’s and it was exactly what I thought it was–a protein shake. It was a protein shake that, coupled with a few other fantastic resources, changed my life. I’m 40 pounds lighter than I was that afternoon. I fit into clothes I wore in college. Fat me would never admit that it’s possible, but I’m so much happier. Tune in next week for the second part of my weight loss story–the steps I took to lose 40 pounds. 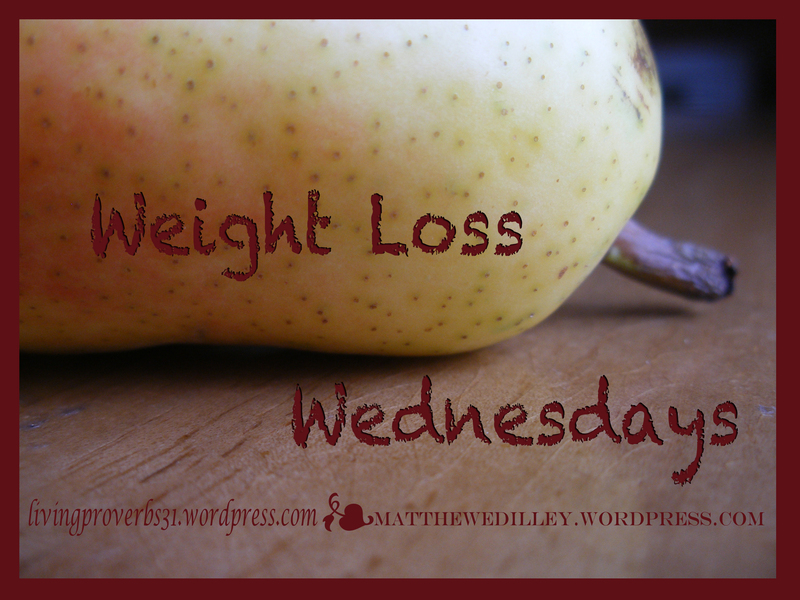 And be sure to check out Matt’s blog for his Weight Loss Wednesday post!